(December 17, 2014) Enjoy the Music.com is expanding our worldwide audience with video advertisements on the Internet's highly popular TWiT.tv (This Week in Tech) network. 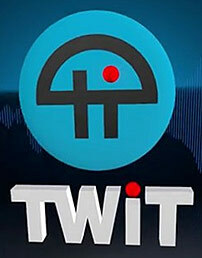 TWiT.tv, founded by Leo Laporte, provides live netcasts / podcasts and is ranked #1 in technology podcast along with over 20 other top-ranked online shows. Since 2005, TWiT.tv has provided news, commentary, help, how-to and perspective on the latest trends in digital tech from seasoned experts and journalists. To reach a broader, yet highly targeted audience, Enjoy the Music.com will be advertising on TWiT'tv's Home Theater Geeks hosted by the Editor of AVS Forums Scott Wilkinson. Home Theater Geeks is broadcast live online every Thursday at 5:30pm ET and is available later as a pre-recorded video or podcast. "Enjoy the Music.com is proud to advertise on TWiT.tv as part of our nearly two decades of continuous expansion and successful broadening of our worldwide readership," said Editor and Creative Director Steven R. Rochlin. "Initially launched nearly two decades ago as a way to educate, inform and help consumers learn about the wide variety of high fidelity audio products and high resolution music, today we provide over 185 show reports, thousands of equipment and music reviews, technical articles by leading manufacturers, plus think pieces. Over a decade ago Enjoy the Music.com began collaborating with leading high-end audio print publications to expand both companies' ability to grow their readership. This mutually beneficial relationship has flourished over the years as Enjoy the Music.com is now Internet partners with seven popular print publications, with Enjoy the Music.TV bringing aboard seven online magazines. By linking many like-minded publications together, everyone from curious consumers, avid enthusiasts, manufacturers and publishers prosper. We are proud to announce the addition of TWiT.tv as a new member of those we support; just as we have continuously advertised within a variety of print publications over many years. Enjoy the Music.com's video ads will begin December 18th, 2014, on TWiT.tv's Home Theater Geeks." Steven R. Rochlin continues by saying "Just as the old-fashioned airwave broadcast television audience have changed their viewing habits towards cable TV, cable TV is now giving way to online services and video streaming companies. Enjoy the Music.com, with sister site Enjoy the Music.TV, is at the forefront of this new evolution as the industry's only online magazine to focus strictly on high-end audio consumer electronics and high resolution music. Unlike the limitations of prerecorded television, Enjoy the Music.com's live broadcasts allows our audience to participate via real-time chat or ask questions within our Twitter / Facebook social media pages. Being of service to our crowd using state-of-the-art broadcasting equipment expands the ability to present our audience the opportunity to ask questions to those we are featuring within the live stream. Our upcoming CES 2015 live broadcast marks the fourth major real-time streaming event within the past year. Enjoy the Music.com continues serving as high-end audio's leading, and only, site to employ this variety of modern technologies to educate, inform, and support our audience." The TWiT.tv Netcast Network with Leo Laporte features the #1 ranked technology podcast This Week in Tech, along with over 20 other top-ranked online shows. Since 2005, our shows have provided news, commentary, help, how-to and perspective on the latest trends in digital tech from seasoned experts and journalists. Leo hosts and produces many of the shows, but as the network expands new hosts and participants are added. All of our shows are free. TWiT is supported by advertising and listener donations. We limit the number of ads on each show, and we only accept advertising from companies whose products or services benefit our audience. As we've grown, our facilities have expanded into a multimillion dollar studio and a full staff to produce over 30 hours of content a week. Our live stream lets you watch and listen to our shows being produced, along with other incidental coverage of tech issues, breaking news, and Leo's personal life. You can see TWiT.TV at www.TWiT.tv. Enjoy the Music.com is the Internet's leading information site for high fidelity audio news, equipment reviews, digital music downloads, and show reports for home and mobile devices since 1995. We have received critical acclaim from worldwide Web surfers, like-minded audio publications, and notables such as the President of the Consumer Electronics Association. With the longstanding partnership of eight print publications, an additional seven from Enjoy the Music.TV's online network, Enjoy the Music.com is the strongest grouping of press within the history of the high-end audio community. Enjoy the Music.com also offers its own Review Magazine, daily industry news and over 185 show reports online. Enjoy the Music.com is media sponsors for many consumer electronics events including AXPONA, The California Audio Show, TAVES, T.H.E. Show Newport Beach and the Rocky Mountain Audio Fest.